Culture has also been defined as a state of mind and intellect necessary for developing skill in the arts and sciences, reflecting the psyche and genius of people. It should be noted that culture does not only belong to an individual group or class but to society as a whole. It is defined as "the entire range of a society's make-up such as religion, faith, morals, customs, laws learning, arts, crafts, hobbies and leisure which a man acquires as a member of society and whose use and adoptisaon enables the different and sometimes dissimilar individuals and groups to develop interests and acquire common appearance and traits." (Jalibi, Jameel, 1986). Therefore, the word culture refers to a civilized state of life both in terms of manners, bearings, behaviour and conduct but, at the same time, to the progressive growth, improvement, refinement and elegance in the oral and material spheres of life. Essentially culture constitutes the shared survival strategies of a group of people transmitted from one generation to another. Being dynamic, it constantly undergoes changes with time. The basic unity remains intact whist innovations take place within the framework of old cultural traditions. To be able to keep a culture alive, one must be able to strike the right balance between the old and the new traditions. According to anthropologists, there is a close relationship between culture and language. It is impossible to comprehend a culture without taking into account its language, probably its single most important element. It is also impossible to completely understand the language independent of its cultural context. Undoubtedly cultural factors influence the vocabulary of any language. For instance the word water has no equivalent in the English language but in Hindi water many synonyms for instance 'jal', 'pani', 'nir'. Water is usually referred to as 'pani' but when the same water is offered to the Gods or used in religious contexts it is termed as 'jal', 'Nir' the Sanskritised form of 'pani', is often used by poets writing in a sanskritised style. The linguistic influence on culture cannot, similarly, be denied. Language establishes categories by which things considered the same or similar, can be distinguished from those which are considered different. In English culture a person's brother-in-law is called by one kinship term (brother-in-law). 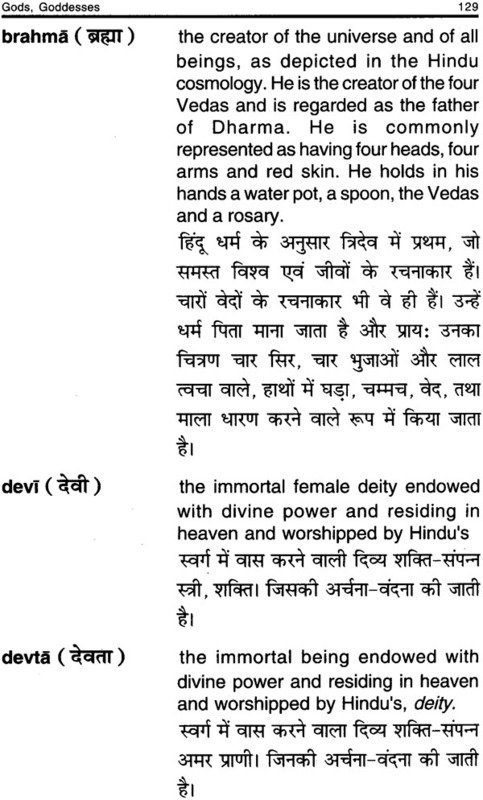 The Hindi speaker of India not only uses different kinship terms to differentiate between one's sister's husband (behnoi or jijaji) and one's husband's brother but uses different kriship terms for one's husband's younger brother (dever) and one's husband's elder brother (jetha). 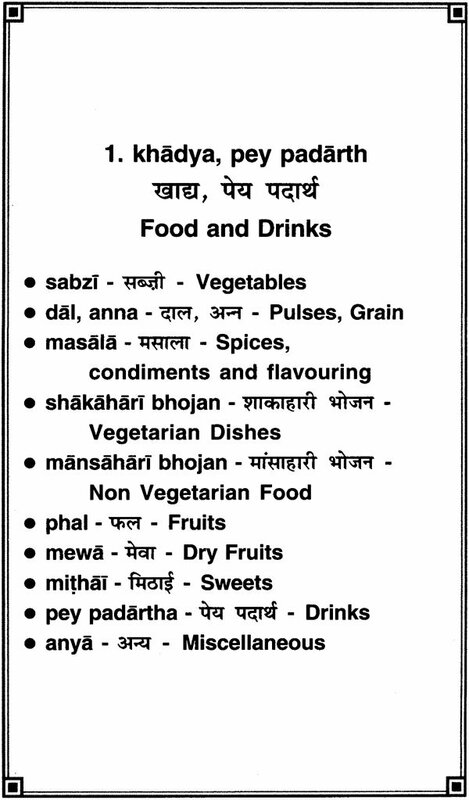 This clearly indicates that 1) Hindi speakers relate differently to the various categories of brothers-in-law,) in India a lot of importance is attributed to relationship. It is usually argued that an element necessary for the growth or transmission of culture is a common lingua-franca serving as medium between different people. Anthropologists Edward Sapir and Benjamin Whorf not only lay stress on the close relationship between language and cultured but go as far as to claim that we are Virtual prisoners of language . Human beings are very much at the mercy of the particular language which has become the medium of expression for their society.... the real world is to a large extent unconscious built up on the language habits of the group. The capacity to translate, to transpose thoughts expressed in one language by one social into the appropriate expression of another group testified that Edward Sapir and Benjamin Wharf's claim of our being virtual prisoners of the language, is not true. Bilingualism through translation contributes a lot to cultural transmission. Specially to transmitting culture to a social group whose culture is alien to ours. 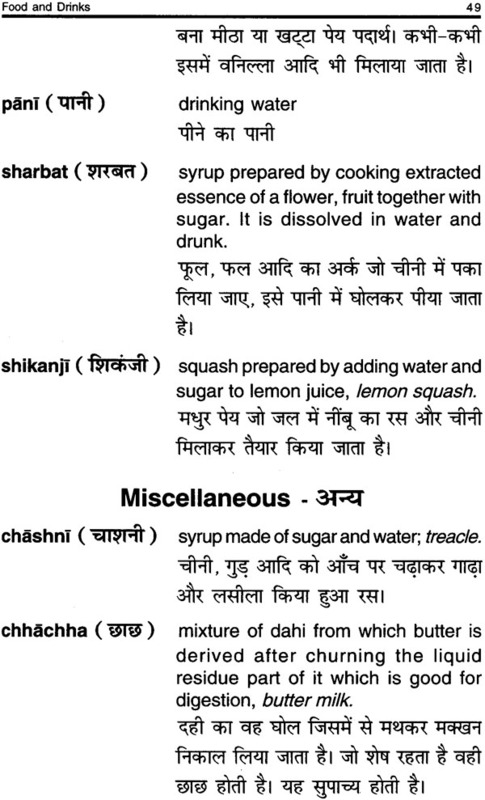 The objective of writing and publishing a dictionary of cultural terms in Hindi with definitions in English and Hindi is twofold. On one hand this will help to impart Indian culture to a population which does not have any knowledge of Hindi, on the other it will help restore, preserve culture within India and the Indian Diaspora where, as a result of multiculturalism, language loss is taking place and cultural identity is at stake. 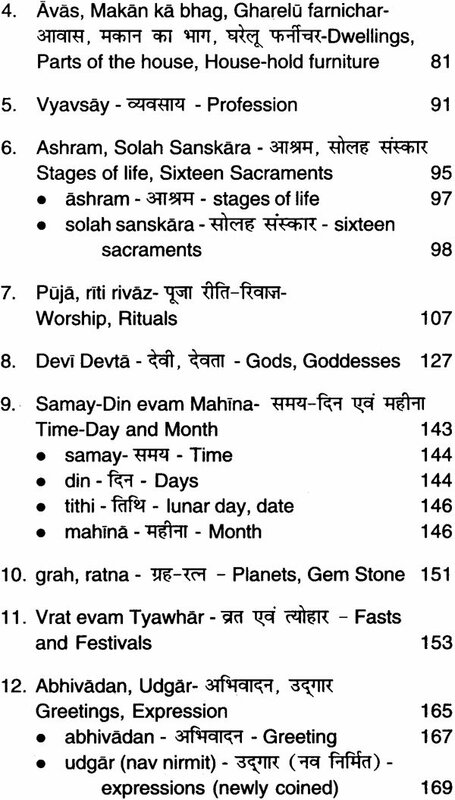 So far, books have been published on Indian and Hinduism, for instance the Dictionary of Hinduism by Dr. Satyendra Kush, Encyclopedia of Hinduism by Sunil Sehgal but these are not bilingual. Therefore all those who have a deep interest in culture but are not conversant with Hindi will highly benefit from such a publication and their cultural appetite will be satisfied. This book will be of great use to translators and anthropologists alike. In the Indian Diaspora some Hindi cultural terms have been embedded in and have enriched the local languages of the country of settlement. With the passage of time and the process of multiculturalisation and globalization they are in danger of extinction. A proper understanding of these terms and the realization of their importance will further contribute to their propagation and preservation. 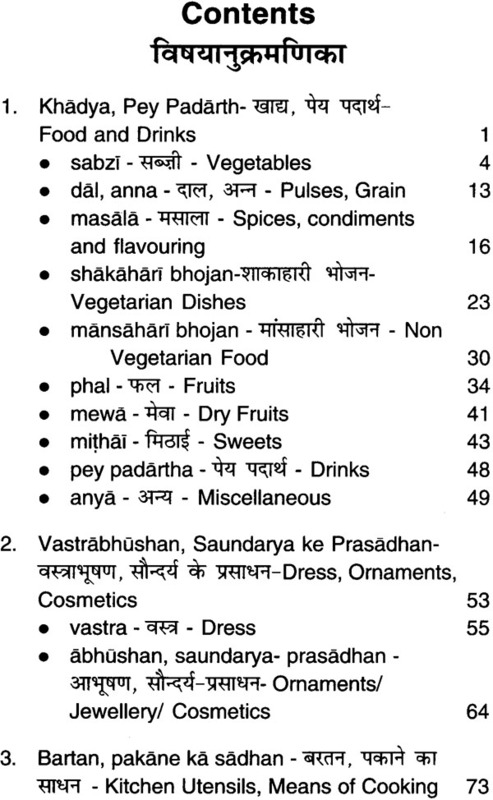 The specificity of this book is that the cultural terms have been classified in various categories, for instance, food and drinks, dress, dwellings, worship-rituals, fasts and festivals. 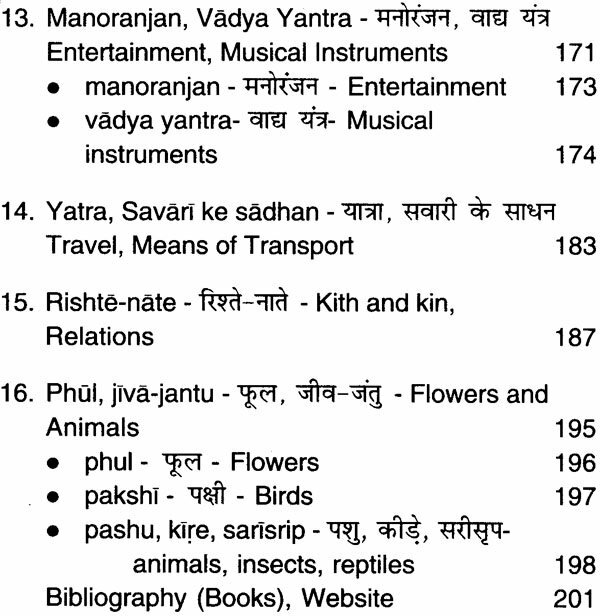 Some categories like folk songs, idioms and proverbs have deliberately been left out as books dealing with such topics are readily available. The findings, interpretations and conclusions expressed in this publication are entirely those of the author and the Tertiary Education Commission, as a partial sponsor, disclaims any responsibility for same. 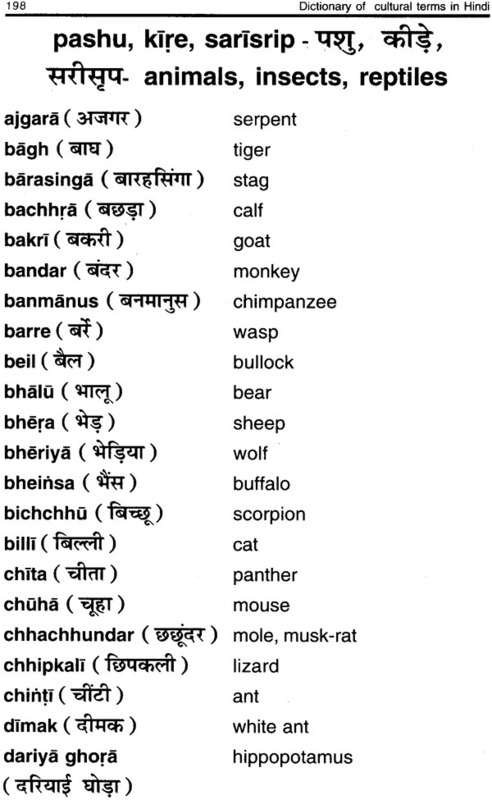 As L was working out the definitions of the Hindi terms and translating the same into English I has the feeling of going back to the roots. I hope that the readers will share the same experience while going through these words and be culturally enriched.